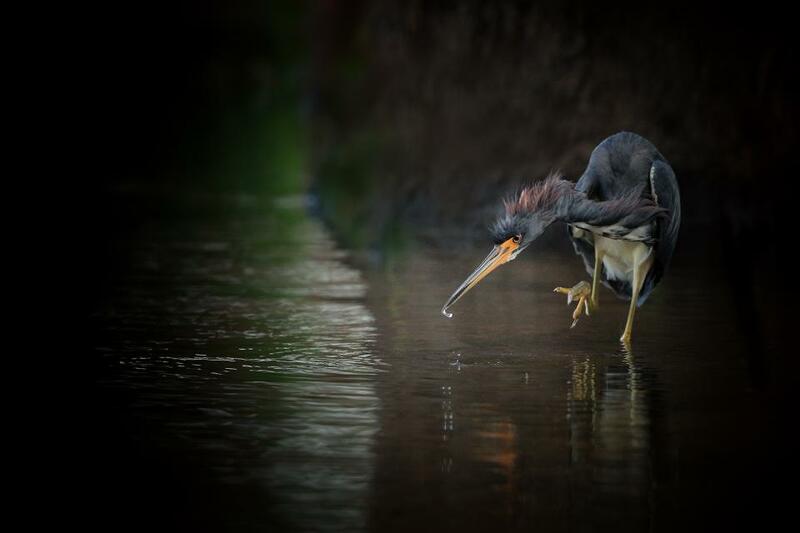 A Tricolored Heron carefully stalks the shallow water of Lake Jesup located in Seminole County, Florida for fish which makes up 90 percent of its diet. Captured with a Canon EOS 5D, Mark III with a Canon EF 100-400mm f /4.5-5.6L IS II USM Lens, f/5.6, 1/2500, ISO 400. Absolutely magical Linn. Exquisite lighting on the Heron while the rich dark background frames his beauty. Another exceptional win, as always. Well deserved my friend. Another stunning capture. Congrats Linn!